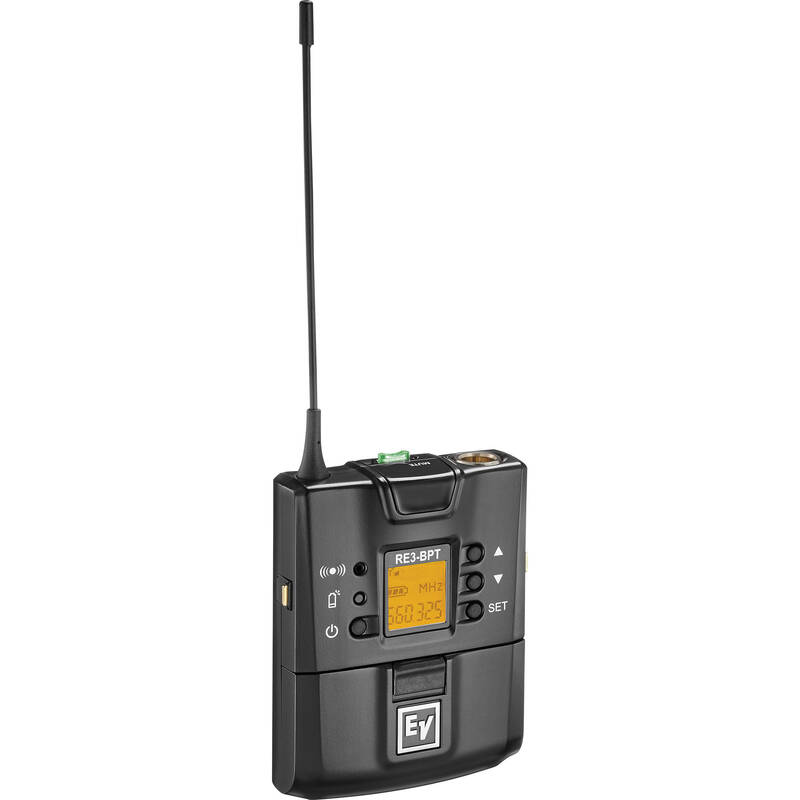 The RE3-BPT-5H Bodypack Transmitter from Electro-Voice is a small, lightweight, easily worn and concealed, robust UHF bodypack transmitter. 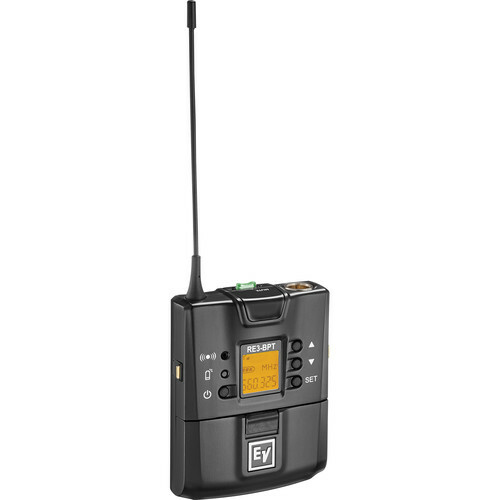 It can be used when paired with a lavalier microphone and a receiver (sold separately) to capture audio for a wide variety of professional presentation and performance applications. The bodypack transmitter's all-metal body is durable and operates on two AA alkaline or rechargeable NiMH cells. Built with a 10 MHz tuning bandwidth, it offers generous frequency tuning options within the North American Duplex Gap. The selectable 10 or 20mW output power assists in overcoming the challenges of both long, or short transmission ranges. Furthermore, the ultrasonic sync function makes for a simple system setup by syncing the transmitter to the receiver's frequency tuning and other functional data. Also, recharging contacts offer use with an optional BC2 charging station (sold separately) allowing NiMH rechargeable cells to be charged without removal from the bodypack.